Universal Studio in Japan has a Harry Potter vehicle. A traveler who likes Harry Potter must be at home playing this attraction. The success of the Harry Potter films apparently spawned a lot of fanatics in various parts of the world. Not a few people who wish to feel the sensation of being in the magic world of Harry Potter. Seeing this potential, Universal Studios Orlando and Hollywood have made The Wizarding World of Harry Potter flooded with Harry Potter fans. For Harry Potter fans in Asia, don’t be discouraged. 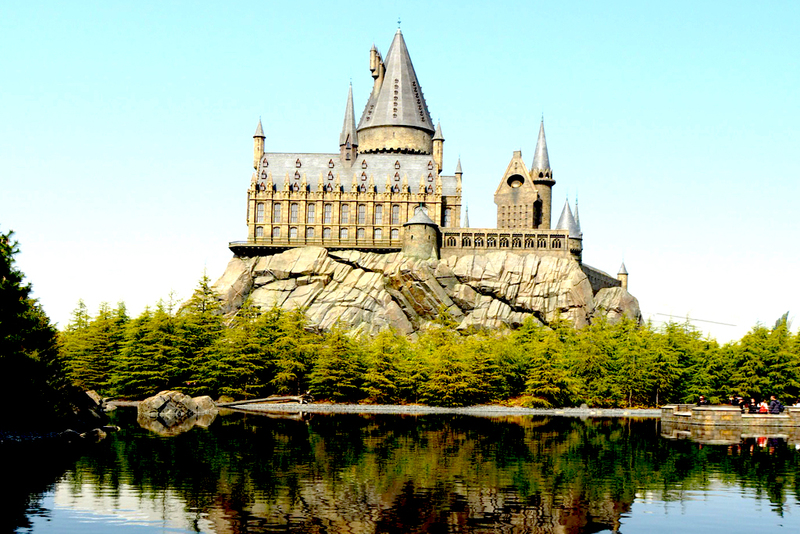 Because at Universal Studio Japan, Osaka, also has The Wizarding World of Harry Potter. So there is no need to go far to the United States first. In USJ there are also other areas besides The Wizarding World of Harry Potter. But because of the high demand, it’s best to go straight to this area once you arrive at USJ to avoid long lines. If it comes on weekends, visitors are given a queue number that contains a schedule to enter this area. But if it comes on a normal day, then visitors are free to enter and leave the area without limited hours. Once entering this area, visitors will be immediately greeted by large gates and artificial snow-roofed houses in the style of Hogsmeade. Inside are souvenir shops and restaurants with items and forms of food that are also made exactly as they are in the film. Among the souvenir shops and restaurants, there are quite hidden rides. From the outside it looks like the shops in general are in Hogsmeade. His name is Olivanders. If you have ever watched the Harry Potter and The Sorcerer’s Stone Films, you will immediately know about this place. Inside, visitors will be given a live performance adapted from the film when Harry Potter buys his first wand. After the show ends, visitors can immediately buy a magic wand as a souvenir. The replica of the wand sold here is also made exactly as the characters in the film use. The price starts at 3,000 Yen, equivalent to IDR 390,000. If you have bought a wand, visitors can immediately approach the magic wand coach around the entrance to the area of ​​The Wizarding World of Harry Potter. Visitors will be taught how to practice spells to use their wands. Exciting! There are also jet coaster vehicles, called The Flight of Hippogrif. Unique animals that only exist in the magic world of Harry Potter, first appeared in the Harry Potter and The Prisoner of Azkaban films. In the film, Harry Potter rises to the Hippogrif and is invited to fly together. Visitors can feel a similar sensation like Harry Potter while riding this vehicle. It’s not complete if you haven’t entered the Hogwarts magic school. The shape is like a big palace, of course attracts a lot of visitors. Besides being able to see what the magic school was like, it turned out there was a 4D vehicle in it. Even the best vehicle at USJ. Visitors who can enjoy this vehicle only have more than 100 cm tall, are not pregnant, and do not have heart disease. For adrenaline lovers, you will be guaranteed to love the rides of Harry Potter and The Forbidden Journey. So many interested people, the queue can be four hours, you know! However, if it comes on a normal day, the line is only about 80 minutes. For about four minutes, visitors will be invited to adventure like Harry Potter. Starting from riding a broomstick, playing Quiditch, to facing the Dementors, one of the enemies feared by Harry Potter. The price of Universal Studio Japan (USJ) entrance ticket is 6,852 or around Rp. 890,760 per person. The operating hours follow the ongoing season. In winter, USJ is open from 09.00 a.m. to 19.00 a.m. While for spring, starting at 8:30 a.m. until 9:00 p.m.
How to get to Universal Studio Japan is quite easy. Can take the Osaka Loop Line train and get off at Universal City Station. From the station just walk for a while. For Muslim friends who want to worship, there is no need to worry, because they can use the Guest Service room near the entrance. Are you ready for adventure like Harry Potter and his friends? So don’t forget to play at USJ while in Osaka, Japan. Because there is no need to go all the way to his native country or to the United States if you want to feel the sensation of being in the magic world in the style of Harry Potter. Have a good vacation!